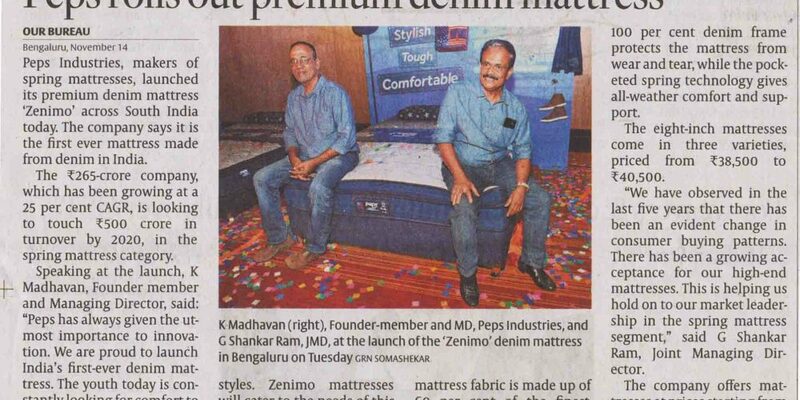 Peps Industries, makers of spring mattresses, launched its premium denim mattress ‘Zenimo’ across South India today. The company says it is the first ever mattress made from denim in India. The ₹265-crore company, which has been growing at a 25 per cent CAGR, is looking to touch ₹500 crore in turnover by 2020, in the spring mattress category. Speaking at the launch, K Madhavan, Founder member and Managing Director, said: “Peps has always given the utmost importance to innovation. 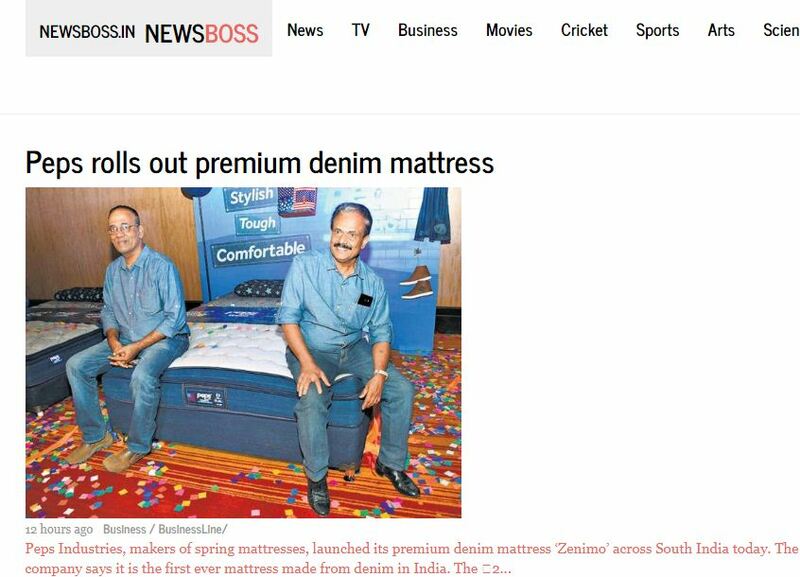 We are proud to launch India’s first-ever denim mattress. The youth today is constantly looking for comfort to keep up with their hectic lifestyles. 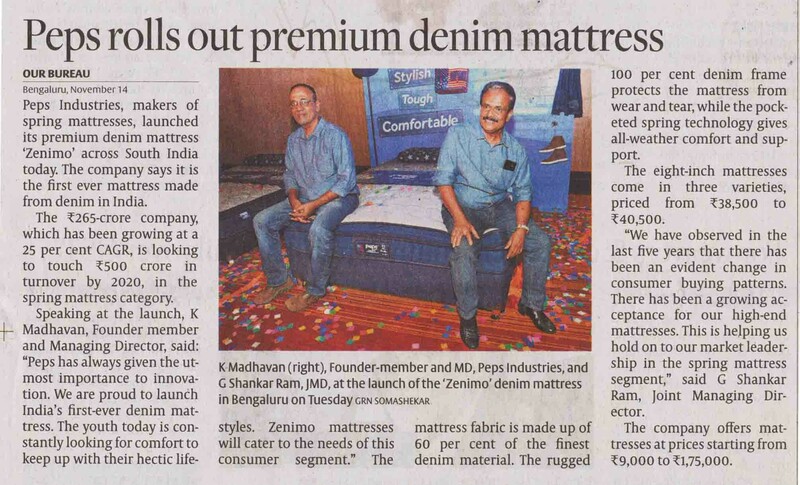 Zenimo mattresses will cater to the needs of this consumer segment.” The mattress fabric is made up of 60 per cent of the finest denim material. The rugged 100 per cent denim frame protects the mattress from wear and tear, while the pock­eted spring technology gives all-weather comfort and sup­port. The eight-inch mattresses come in three varieties, priced from ₹38,500 to ₹ 40,500. “We have observed in the last five years that there has been an evident change in consumer buying patterns. There has been a growing ac­ceptance for our high-end mattresses. 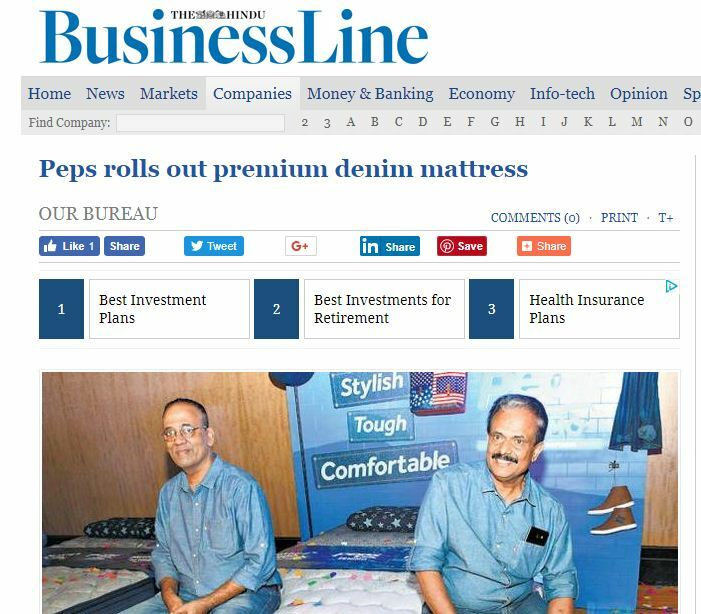 This is heJping us hold on to our market leader­ship in the spring mattress segment,” said G Shankar Ram, Joint Managing Dir­ector.